Review : Monsoon Spa Treatment at Quan Spa, JW Marriott New Delhi Aerocity | Spa Experiential | The Shopaholic Diaries - Indian Fashion, Shopping and Lifestyle Blog ! I am really excited to tell you all that I am going on a mini-vacation, but to know where, you will have to wait for my social media posts. I was just busy packing when I realized I had a couple of posts to complete, especially a Spa experience which I had had few days back. I have been to Quan Spa at JW Marriott Aerocity New Delhi for their launch and had availed a Foot massage there which was really relaxing. But the location being quite far from my place, I could never visit it again for a proper spa. 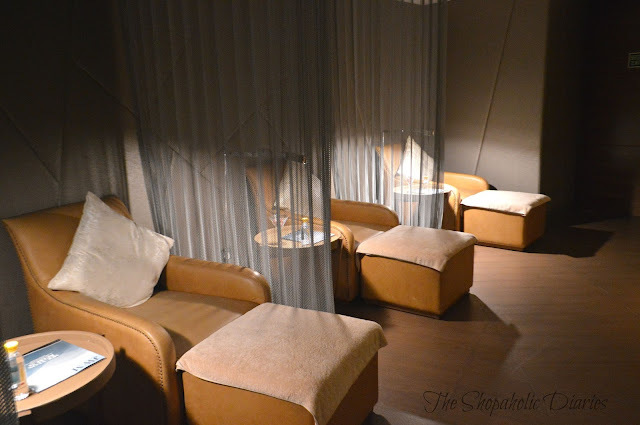 So last weekend, after a tiring week, when I got an opportunity to experience their special Monsoon treatments, I was really excited.. After all, who doesn't love a pampering spa after a long, dull week? 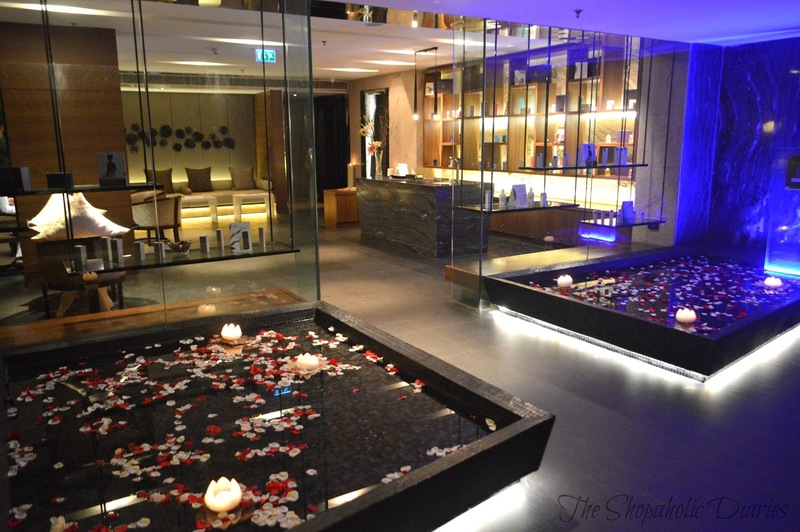 So on a pleasant Sunday afternoon I visited Quan Spa at JW Marriott for a rejuvenating spa ritual. The spa attendant gave me a complete tour of the property and told me about the rituals available for the Monsoon season that were exclusively designed to pamper the body and mind in this gloomy weather. 30 mins Bespoke Skin Polish and 60 mins Massage . While I wanted to go ahead with the Aromatherapy ritual, the Spa attendant recommended that I should go for a Hot Stone Massage which will relieve me from all the muscular tension and stress from my long working hours. So, finally I decided to take his suggestion and opted for a Bespoke Skin polish and Hot Stone Massage. As I waited for my therapist to prepare the spa room, a herbal tea was presented in their waiting lounge, which served as a pleasant start for an uber luxurious experience to follow. I was guided to the spacious Spa room by the therapist who gave me some time to change into the disposable lingerie and bathrobe provided in the wardrobe inside the spa room. The spacious spa room also has a shower room and includes basic amenities like shower cap, body lotion, hair dryer etc. The therapy started with a foot cleansing in rose water and then a Body polish. The pleasant music playing in the background perfectly set up my mood for a relaxing session. The therapist used one of the soothing and richly nourishing products from the Aromatherapy Associates London range to exfoliate my skin. After a 30 minutes of exfoliation, the therapist gave me some time to take a shower to wash off the excess polish. 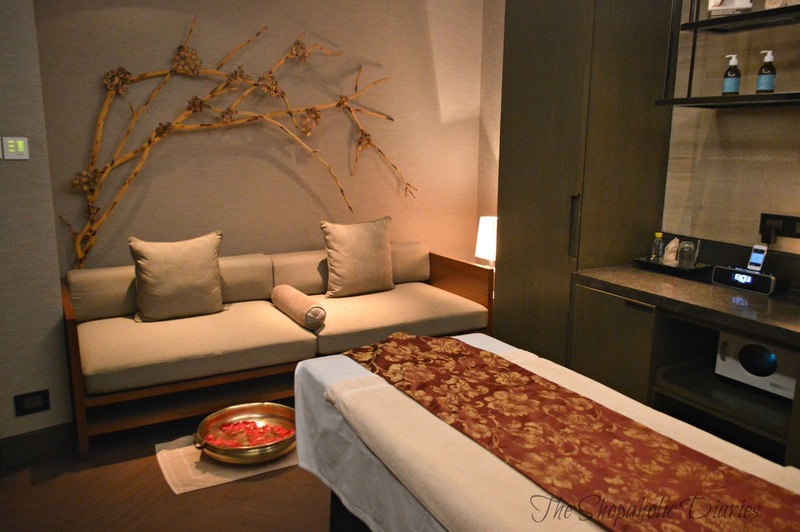 The body polish made my skin very radiant and smooth after the first part of my spa. The second part of the ritual included the Hot Stone Massage for which the therapist used a therapeutic oil from the Aromatherapy London range with a relaxing massage to reduce stiffness and soreness from my body. While massaging my back, the therapist particularly mentioned about the stiffness in my upper back, which I think is what all of us working women suffer who have long sitting jobs. Smooth, warmed stones were used for the massage to relax the muscles and calm the senses and I actually felt asleep for a while during my spa, which made me realize how effective the hot stones were- in soothing my mind and body. To my relief, the temperature of the stones was warm enough to work effectively in reducing muscle stiffness, without causing any burning sensation. At the end of the ritual, the therapist used a soft towel to wipe off the extra oil and moisturized my skin with a body butter. I have never had experienced Hot Stone Massage before, but truly this was the best and one of the most luxurious spa experiences I have ever had. Especially, because while other massage therapies usually just pamper your senses, the Hot Stone therapy really helped reduce stiffness from my body and relieve the back pain that I often experience. Quan Spa also offers other amazing treatments like Abhyanga, Deep Tissue massage, Detox & Revive, facial treatments, bath therapy, Couple's spa ritual and many more, that would help you unwind and calm your body and soul. 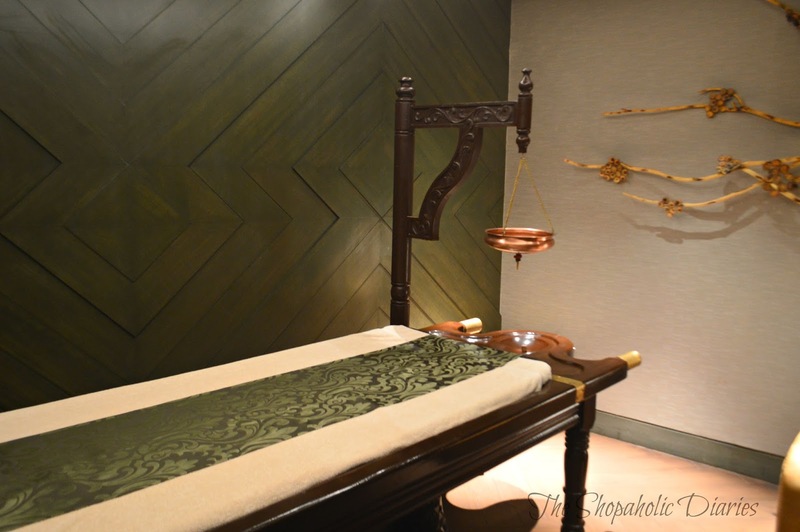 The Hot Stone Massage is priced at Rs 4500 while the Bespoke Body polish is priced at Rs 2500. 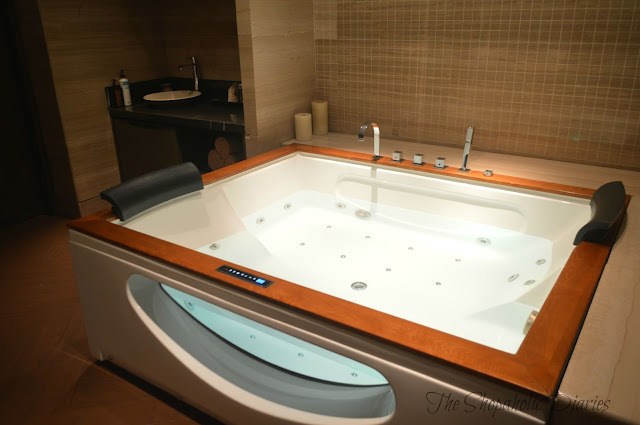 While the services are at an expensive side, Quan Spa promises a complete luxurious and rejuvenating experience which is unmatched by any other spa in town. 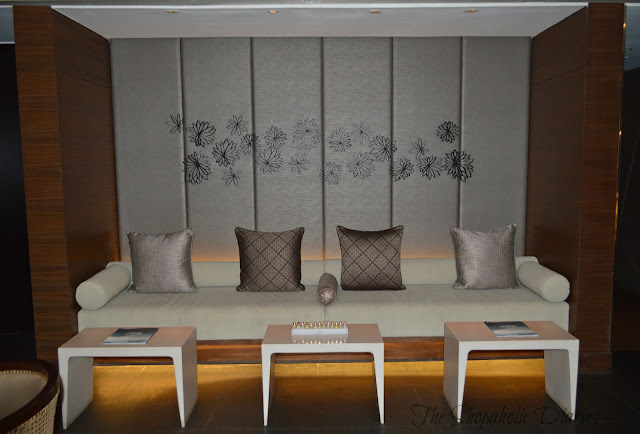 So, if you are really looking forward for an exclusive, pampering and indulgent experience, go ahead and make your reservation at Quan Spa without thinking twice. For further inquiries, you can get in touch with them at - + 91-11-45212195, Timings - 07:00 am – 11:00 pm All days. 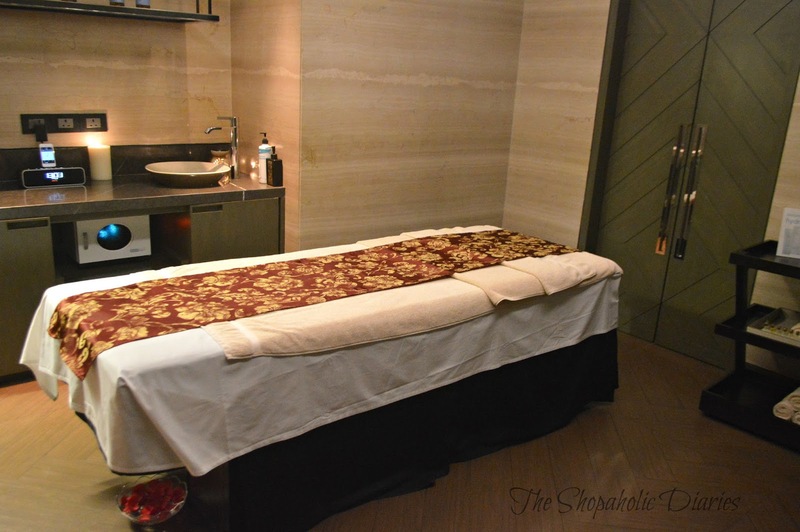 After having experienced atleast a dozen Spa therapies, I was myself surprised that how calming and effective Hot Stone massage is, as compared to the other therapies.